the black swift ship would carry you from Troy. shall mingle and make love upon our bed. So mutual trust may come of play and love. Circe is one of the lesser known goddesses of the Greek pantheon. The daughter of the Titan Helios and a water nymph, she is best known for her part in aiding Odysseus on his journey back to Ithaca following the Trojan War. Author Madeline Miller envisions the life of an immortal who has been condemned to a life of banishment and loneliness after daring to defy her father and choosing to live her life free from the demands of divinity. Madeline Miller’s The Song of Achilles, made my list of the favorite books that I read in 2017. There, she took a few small passages from Homer’s Iliad and turned it into a beautifully written novel about love versus honor. With Circe, Madeline returns to the world of ancient Greece and delves into the history and life of a goddess who, in the words of one character “hates her own divinity”. Circe is born in the hallowed hall of her father, the Titan Helios who draws his golden chariot across the sky to bring the day. She strives to be an obedient daughter in order to win the affection of her self-absorbed father and her vain mother, the sea nymph Perse. Belittled as the least of his many children, Circe eventually discovers a mystical plant which can change the form of others, and uses it with disastrous results. As punishment, she is banished by Zeus to the lonely island of Aiaia (sometimes spelled Aeaea), condemned to live out the rest of her days in isolation. One of the most intriguing aspects of Madeline Miller’s is the way she takes a relatively throwaway character from antiquity and fleshes them out into a three dimensional person with hopes and goals. In the legend of Odysseus, the story of Circe is minimal, with far larger sections devoted to the slaying of the Cyclops and the seductive song of the sirens. Since the reader is already prepared for his arrival, we eagerly await the moment when Odysseus lands on the shores of Circe’s island. The fact that he is depicted here in quite a different manner as in Homer’s great epic is a delight. I for one always felt Odysseus to be a bit too perfect, he lacked the weaknesses of some of his fellow Greek heroes. Here he is shown as a man who has lost his moral center and is now desperate to return to Ithaca no matter what the cost to his crew. But this is not the story of Odysseus, this is the story of a sorceress. Circe is an empowering heroine because her humanity shines through despite her immortal status. She yearns for love ,and acceptance, and occasionally bestows her affection on those unworthy of her. She finds a purpose in a world that has ostracized her, and seeks out happiness in whatever circumstances she is given. For thousands of years the Greek pantheon has held a special place in our collective imaginations, in part because it’s denizens are so wonderfully and terribly human. They lie, cheat, steal, and meddle in the affairs of mortals and non-mortals alike. Madeline Miller weaves Circe’s tale together with the stories of the great Greek heroes. Making an appearance are such celebrated characters as the Minotaur, Daedalus, Scylla, and Ariadne. Even Jason (of the Argonauts) makes a cameo. Miller uses all these interesting and ultimately fallible characters to create a solid world behind the familiar myths. You can find Circe here on Amazon or here on Book Depository. P.S. If you are not terribly familiar with the convoluted chaos that is the Greek pantheon, it might help to have a flow chart available while you are reading Circe. Most people are reasonably well acquainted with the Olympians, but how many have ever heard of Glaucus? Am currently reading the Odyssey (Oxford World’s Classics prose edition) and actually I’ve found what you say: “he is shown as a man who has lost his moral center and is now desperate to return to Ithaca no matter what the cost to his crew.” to be true of this translation. Perhaps not as dramatically as *loosing* his moral centre completely, but the slightly less-than-caring attitude towards his crew surprised me. He even behaves recklessly in taunting the cyclops and boasting to the Phaeacian’s. 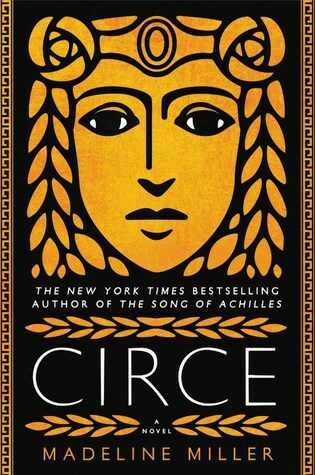 Neat review, will consider adding “Circe” to my reading list. Thanks!